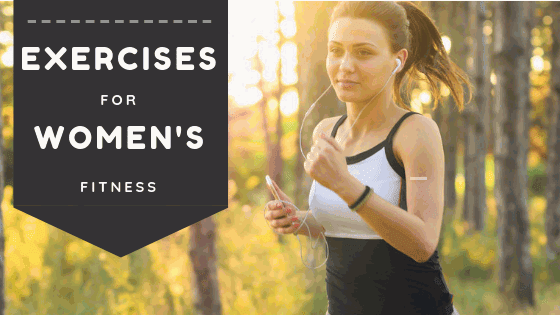 Women Exercises are those specifically designed to cater for the different needs of womens bodies. Most women would be targetting the slender but strong body of a dancer, rather than the muscular shape of a body-builder. So the average gym, full of obsessed, oversized, weight-lifting men, is likely to be intimidating and unappealing to most women. Resistance exercise can involve using weights, but can also use your own body weight, for example, in push-ups. Resistance exercise puts an extra load on your bones, which is good for reducing the risk of osteoporosis, is great for your skeleton and building up muscle strength. If you are too shy or busy to visit a gym, the best way to learn how to perform womens exercises correctly is to learn from a DVD. True Balance is an Australian company offers a series of DVD videos to designed to achieve core strength in 10 Minutes per day. Regardless of age, you should always see a doctor for a checkup before commencing an exercise program. An awareness of your cholesterol, cardiovascular health, blood pressure, weight and genetic risks is essential. A yearly consultation with an exercise physiologist may be claimable under government or private health cover and can give you a customised exercise prescription. With the increased awareness of exercise as a means of preventing health problems, many physiotherapists are seeing injuries caused by women launching into serious fitness programs unprepared. If your objective is 30 minutes of exercise 5 times a week, you probably need to start with walking 15-20 minutes a day, 3 times a week, and increase from there, over the course of a year, to give body tissues time to adapt to the increased stress.